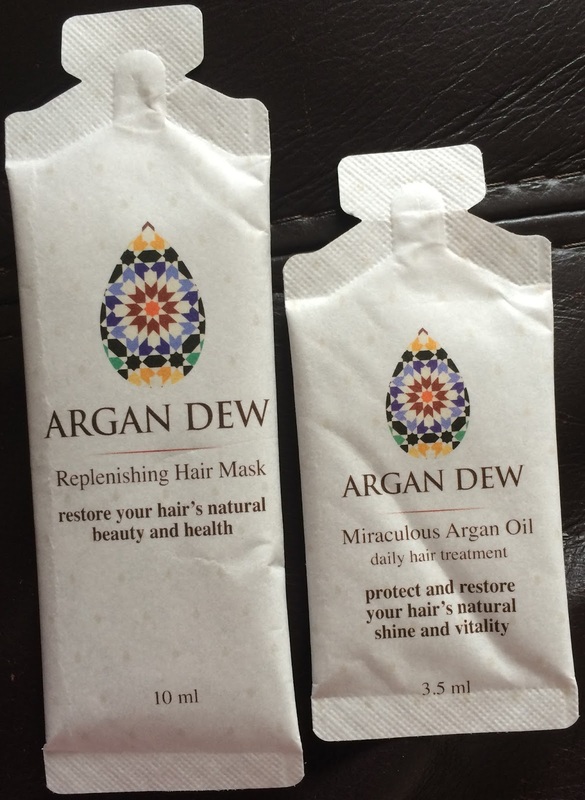 I have kindly been sent 2 products from the lovely people at Argan Dew. The products that I have tried are their Moroccon Argan Oil and their Argan Oil Hair Mask. As a side note, Argan Dew actually send out free samples of these products if you are willing to pay for shipping so if you want to try them then definitely check out their website! I tried the hair mask first which I applied to my damp hair, left it on for 10 minutes then rinsed it out. I didn't actually shampoo my hair afterwards and I found that this worked well as my hair was so well moisturised and shiny. I enjoyed using this but I'm not sure that I'd pay the $44 that it costs for a full-size. I then tried the regular Argan Oil. I washed my hair and when it was almost dry, I combed this whole sachet through my hair from root to tip. It didn't have any scent to it and felt very silky. I imagined that my hair would look really oily - I planned to use this to moisturise my hair in a period where I didn't need to leave the house for a couple of days. It didn't look oily at all though, I went out with this whole sachet in my hair and it didn't look heavy or greasy. This surprised me a lot as I'm used to putting this amount of coconut oil in my hair and it looking visibly oily. The main benefit of using this is that it tames all fly-away hairs and it makes my hair so shiny and sleek too. Again, I'm not sure if I'd pay $39 for the full-size but I definitely enjoyed using this oil.